Enjoy a beautiful hotel stay at The Priory Hotel for half price! Your hotel package includes a $200 room voucher PLUS (2) $25 vouchers to Monk's Bar! A $250 value for just $99.99! * Vouchers will be mailed to you in 7-10 business days. 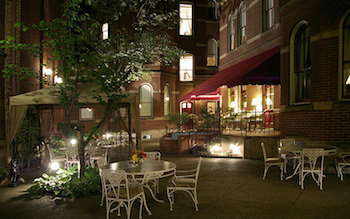 A former Benedictine monastery, the Priory is a 42 room family owned and operated boutique hotel nestled in the historic Deutschtown section of Pittsburgh’s North Side -- an easy walk to downtown Pittsburgh, PNC Park, the Andy Warhol Museum, and Heinz Field. 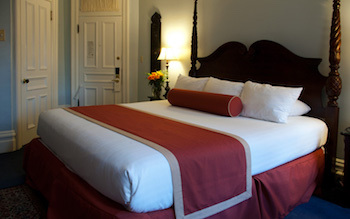 Built in 1888, the Priory’s then-25 guestrooms were lovingly restored to 19th century elegance by the Graf family in 1986, weaving Edwardian era antiques and reproductions to accent the building’s remarkable architectural and interior design features. In 2011, the Graf family unveiled the Priory Hotel’s new wing, a $2.7 million project which added 17 guestrooms to the existing property and which seamlessly blended the new construction with the original building. 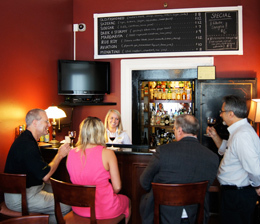 The construction project also added a new, larger front desk and a cozy pub -- the Monks’ Bar – in the original building. Last, the project debuted a brand new Fitness Center and Business Center, as well as state of the art meeting space in the new wing. The Priory Hotel also boasts one of the region’s premier ballrooms, the Grand Hall at the Priory Hotel, which is set in the adjoining former church, hosting numerous business events, weddings and charity functions. And while the Priory’s physical characteristics create a memorable experience, it is our service and attention to detail which set us apart. Our guests are treated as individuals, not just another number among the faceless masses circulating through the lobby. If we can help, we will. Monks bar vouchers are not valid for tax or gratuity and must be paid in cash. 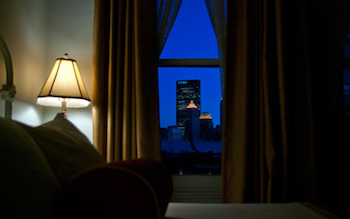 Hotel reservations are based on availability, other restrictions may apply.